When your boy is looking for an answer that's blowing in the wind, equip him with The North Face Reversible Breezeway wind jacket. It provides reliable protection from blustery weather. 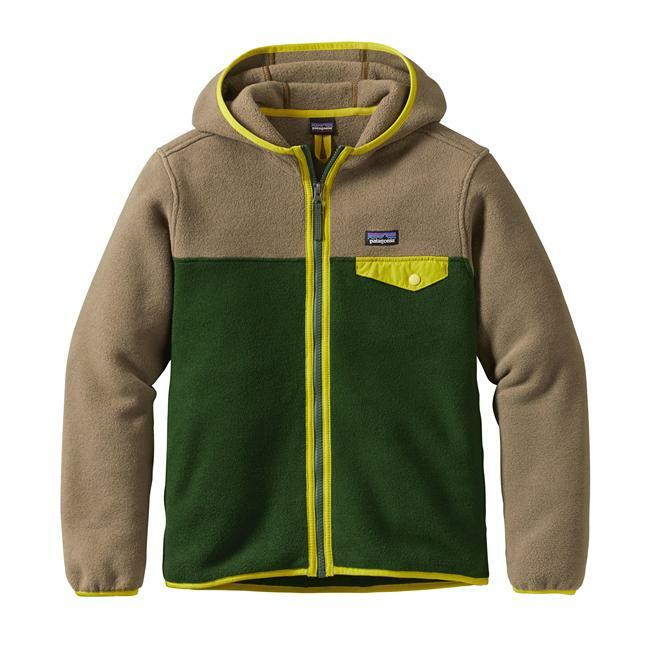 Ensure your little fella stays comfortable and protected no matter the season with the Boys Reversible Breezeway Wind Jacket from The North Face. Polyester shell boasts a durable water-repellent finish to shed moisture, as well as zippered welt pockets for stowing gear. 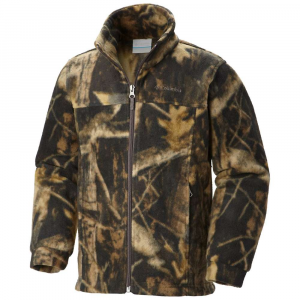 Plush polyester fleece on the opposite side holds his body heat in for long-lasting warmth. Elastane binding on hood, sweep and sleeve openings seals breezes out. Reflective stripes and reflective logos on jacket shell. 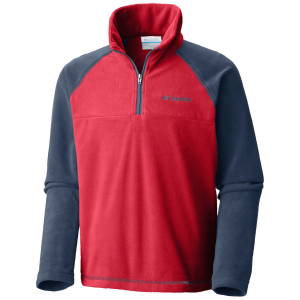 Bold three-color front zip. Imported. Center back length: 21.5. Sizes: XS-XL. Colors: Asphalt Grey Stripe, Marker Blue Stripe. Size: X-Large. Color: Asphalt Grey Stripe. Gender: Male. Age Group: Kids. Pattern: Stripe. Material: Polyester. Type: Jackets. 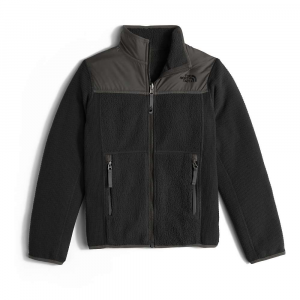 The North Face Boys Reversible Breezeway Wind Jacket - This boys' reversible hooded wind jacket features a water repellent finish and is lined with a soft fleece lining that can also be worn facing the exterior for additional versatility. 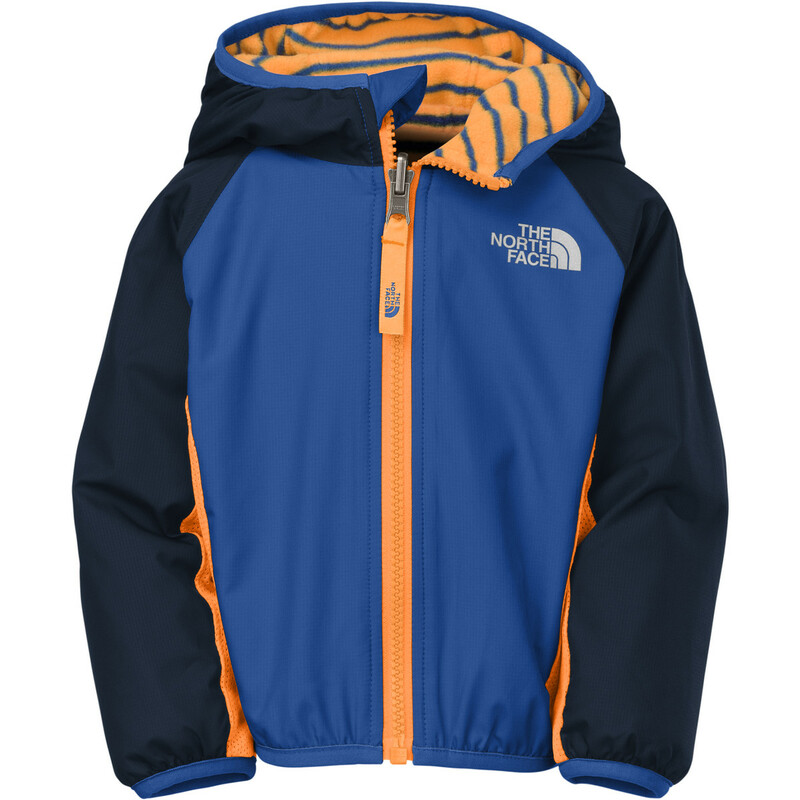 The North Face Boys' Reversible Breezeway Wind Jacket is not available from the stores we monitor. 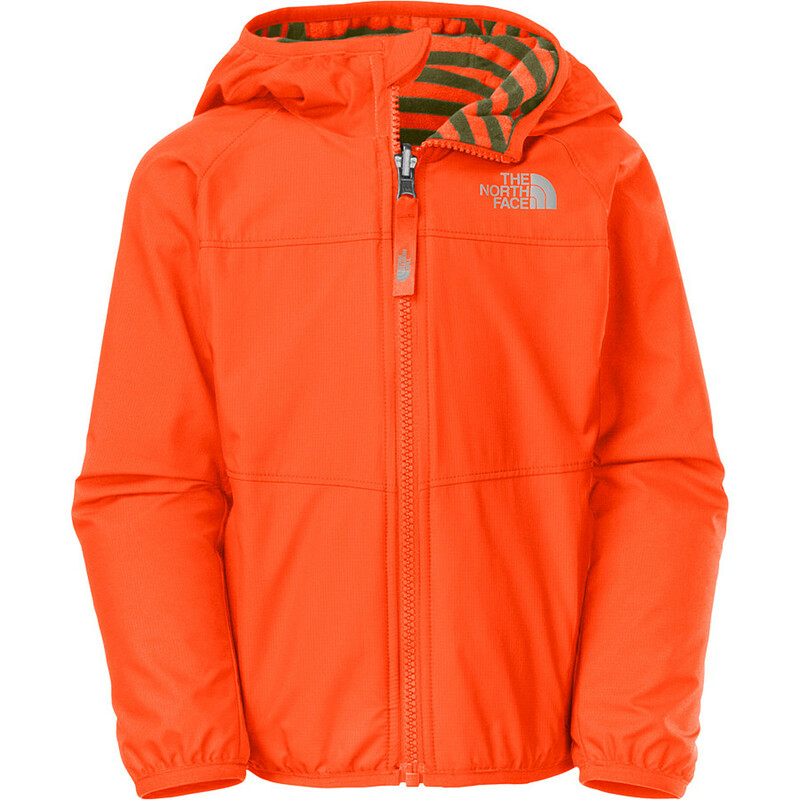 It was last seen December 20, 2018	at The North Face.